I went to this match with some concern, that City would think it would be easy. Often, despite what managers and players say, subconsciously they appear to take their foot off the gas against so-called poorer teams. 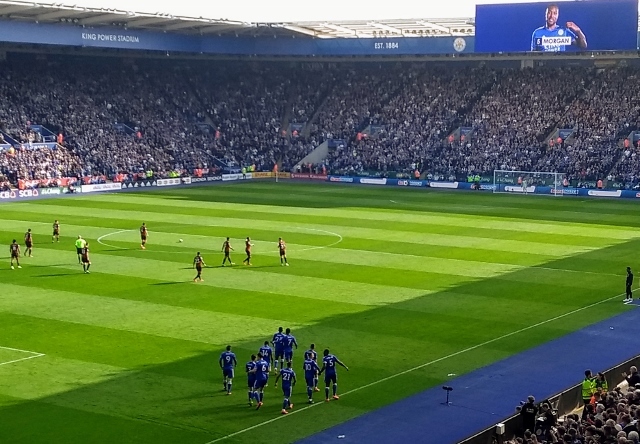 Leicester City fans can quote several instances, most of them in cup competitions! There was a surprise in the line-up, with Söyüncü coming in to partner Morgan; it later transpired that Evans had a minor hip problem. The rest of the team was the same as the game against Bournemouth, but with Choudhury on the bench. Maguire wasn’t in the squad, because his partner had just given birth and Rodgers had given him time to spend with his family. The first quarter of the game was pretty uneventful, with neither goalkeeper particularly troubled. 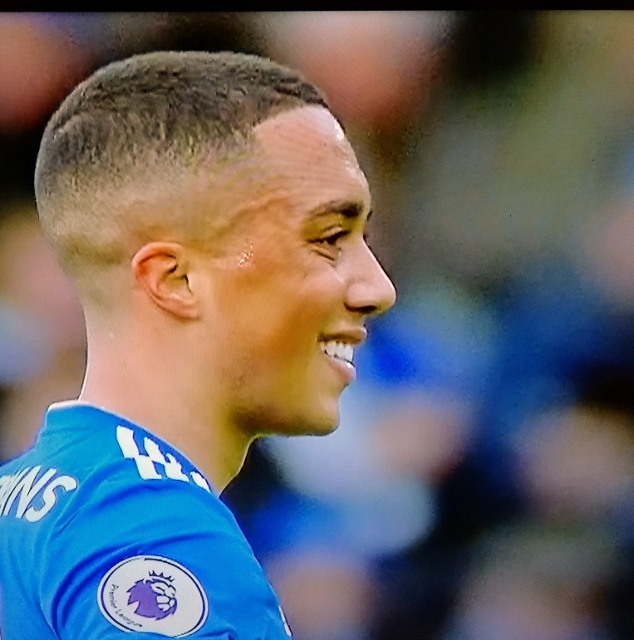 This changed in the 24th minute when the impressive Tielemans struck a stunning volley past former City goalkeeper Ben Hamer. He has really proved an excellent temporary acquisition and it would be wonderful to sign him permanently; I am getting really irritated with stories of Spurs, Manchester United, the world and his wife apparently wanting to sign him, yet again demonstrating the arrogance of the so-called big six. 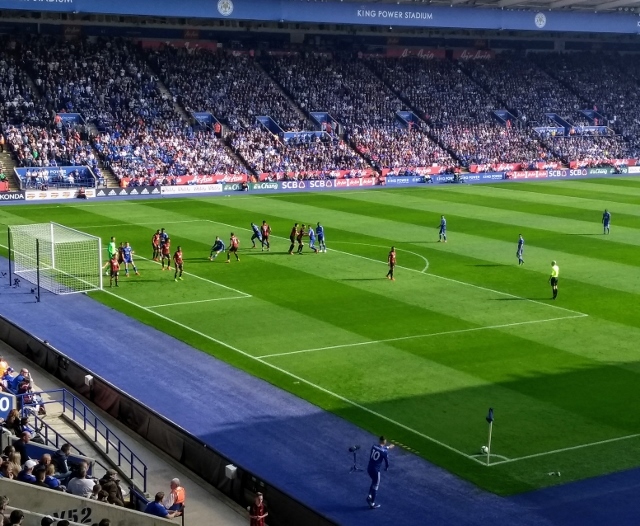 Vardy added a second goal almost immediately after half-time, when good work by Gray in winning the ball released Pereira who put a perfect pass across. There was a hint of offside but it was a chance Vardy was unlikely to miss. 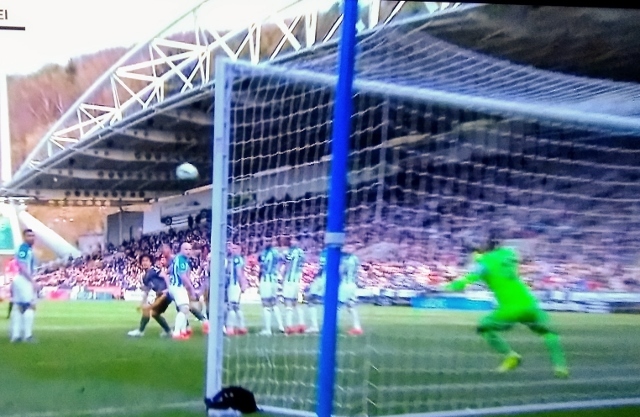 Shortly afterwards however Huddersfield were awarded a soft penalty when Söyüncü was deemed to have fouled Grant and Mooy sent Schmeichel the wrong way. For a time City looked vulnerable and it took two stunning saves from Schmeichel to keep the score at 2-1. 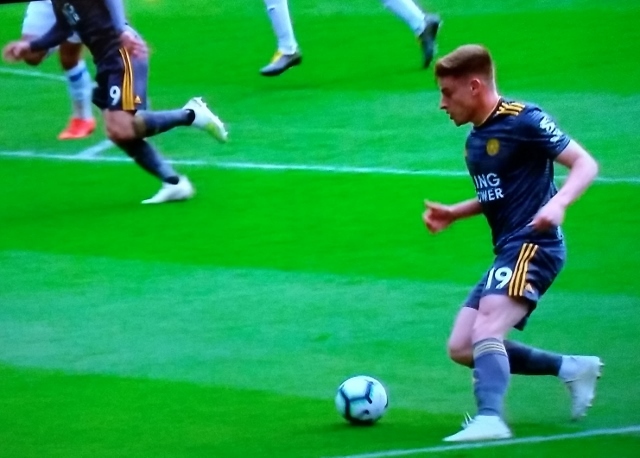 However, in the 79th minute Vardy, who had been his normal harrying, bustling self, drew a foul on the edge of the box, right in front of the travelling supporters. I said to my sister “Top right hand corner” and it was as if Maddison had heard me! That is exactly where he put it, clearly fooling Hamer as it was the opposite side from the goal he scored against Burnley. 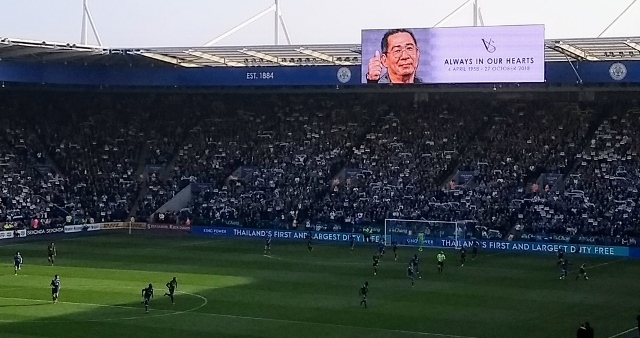 The icing on the cake was a second goal from Vardy in the 84th minute; he was fouled in the box and took the resulting penalty, putting him either level with Gary Lineker in the City goal-scoring charts, or above him depending on whether you include the goal he scored in the Charity Shield. With 103 (or 104) he is course to overtake Arthur Lochhead (114) and Derek Hines (117), putting him into fourth place – an amazing achievement for a player who came very late to the top tier. 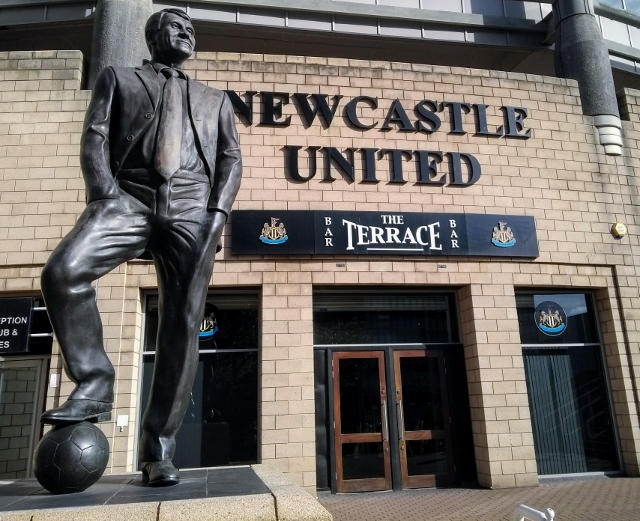 I am sorry that Huddersfield have been relegated, as the club appears to be very much locally and family orientated, but it was clear why they have been so poor this season. 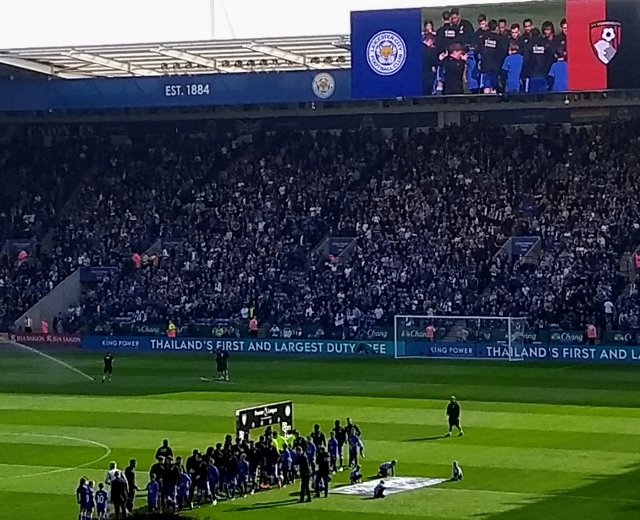 A City team playing below their ability were worthy winners and the stats make interesting reading: Leicester had 18 shots, of which nine were on target, and 55% possession. They will probably never have an easier afternoon. Although Rodgers praised Söyüncü he did not fill me with confidence, and it was hardly surprising that he gave away a penalty, however soft it was. The reason Maguire and Evans are so reliable is that they are calm and seem to have all the time in the world, whereas Söyüncü seems to panic and do rash things. But he is young and new to the Premier League, so hopefully will learn with more games. Of the rest, all played well, although Gray was his usual frustrating self, making some excellent moves but then switching off and appearing to ignore potentially good ones. 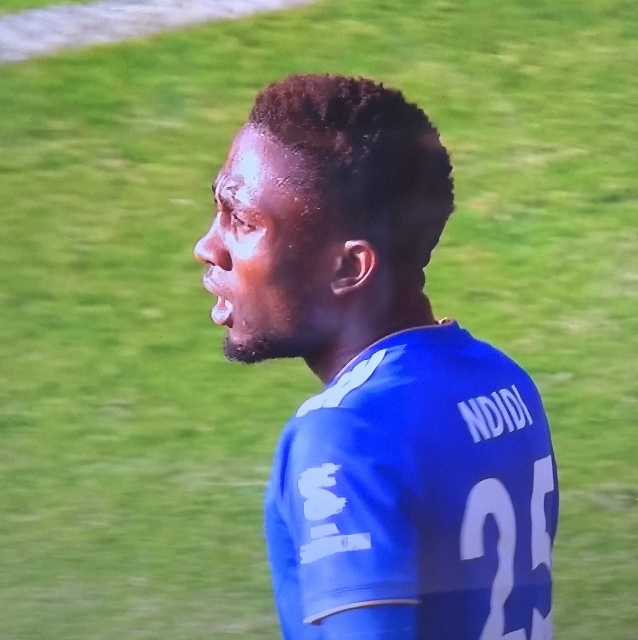 For the record, Okazaki replaced Barnes in the 61st minute, Choudhury came on for Ndidi in the 87th minute and Iheanacho replaced Vardy in time added on at the end of the match. So 7th in the table is possible, and a potential place in the Europa League. Whether we want to be in this competition is a moot point, but at least it gives the players an incentive to finish the season strongly. And, to the fans’ delight, they are playing with style and purpose at last. Subs (not used): Iheanacho, Ward, Mendy, Fuchs, Ghezzal. Subs (not used): Kachunga, Coleman, Williams, Hadergjonaj. 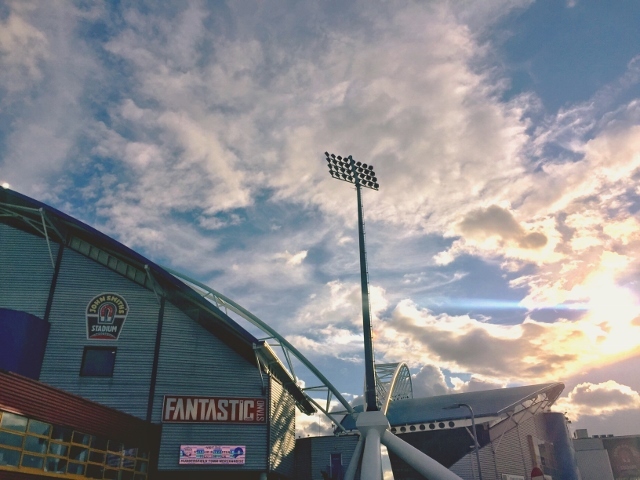 The John Smiths' Stadium is located just off the A62 Leeds Road. It can be easiest reached from Junction 25 of the M62. Simply follow the signs for Huddersfield (A62) and you will reach the stadium over on your left. If approaching from the South, then leave the M1 at Junction 38 and take the A637 towards and then the A642 into Huddersfield. As you approach the town centre try to keep to the right hand lane as you will turn right at the roundabout and onto the A62 Leeds Road. The stadium is a short distance down this road on the right. Alternatively if coming up from the South and looking for somewhere to park then along St Andrews Road there are a number of small businesses that offer parking for around £5. To find these, then aa you approach the town centre you will pass a Lidl store on your left. Go through the next lights and after passing a KFC and Iceland shop on your right, move over to the right hand lane and then turn right at the next set of traffic lights into St Andrews Road. Keep straight along this road and you will soon see the stadium over on your right. There is also a fair sized car park located at the ground which costs £6. The John Smith's Stadium is walkable from Huddersfield Railway Station, it should take no more than 15 minutes at a comfortable pace. After coming out of the Railway Station, turn down past the front of The George Hotel. Go straight over the crossroads into Northumberland Street and walk down across the Ring Road straight on into Leeds Road. Turn right down Gasworks Street. Straight over the crossroads to the ground. 'The Head of Steam pub at the railway station is pretty good and serves food too. Also near to the railway station is the Cherry Tree pub. This Wetherspoons outlet is located on John William Street and is popular with away fans. Otherwise if you like your real ale, then Huddersfield has a number of entries in the CAMRA Good Beer Guide. Those in the town centre closest to the ground include; The King's Head (very near to the Head of Steam), The Sportsman on St John's Road, the Vulcan in St Peter's Street and Slubbers Arms on Halifax Old Road. There is also a cinema and entertainment complex behind the North Stand, which also contains the Rope Walk pub.